As soon as you see Kesgrave Hall you will know you're in for a treat! 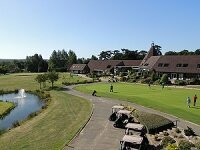 Whether you are eating out, staying overnight or hosting a business conference, Kesgrave Hall is the ideal venue for you. Kesgrave Hall has 23 modern bedrooms, each with en suites and available at various levels from standard to principal. We have created an interesting yet relaxed accommodation option. Although we do not provide breakfasts as part of your stay, they are available in the restaurant for a small surcharge. A takeaway breakfast can also be supplied for guests upon request – ideal for those times when you want to get out and about as soon as possible, or if you don’t fancy the Full English! 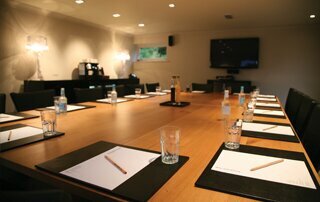 Perfectly located close to the A12 and Ipswich, Kesgrave Hall can accommodate up to 24 delegates at a reasonable rate. Our rooms come complete with modern equipment and our service is second to none – allowing you to focus on the job in hand. Kesgrave Hall is also great for work breaks and team-building activities, such as archery and clay pigeon shooting. Our restaurant, with 100 seating capacity and an open plan kitchen, serves delicious local produce. Our complete a la carte menu is available from noon until 9.30pm/10.00pm so you can turn up at your leisure! Children are more than welcome, and the children’s menu is also available all day. We are now serving afternoon tea every day from 3pm - 5pm @ £20.50pp or £29.50 with a glass of champagne. 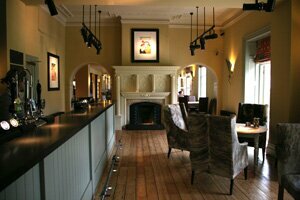 Our Bar is something special - with original features (plus some modern additions!) and access to the terrace, we offer a huge selection of beverages to choose from. 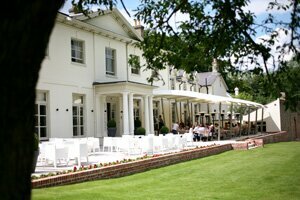 Whatever your reason for staying, please find out more about Kesgrave Hall or contact a member of our friendly staff by clicking on the ‘Visit Website’ link above. From £85 per person based on 2 guests sharing a double room. Includes a three course meal with full choice from the menu, over night stay and full English breakfast the following morning.